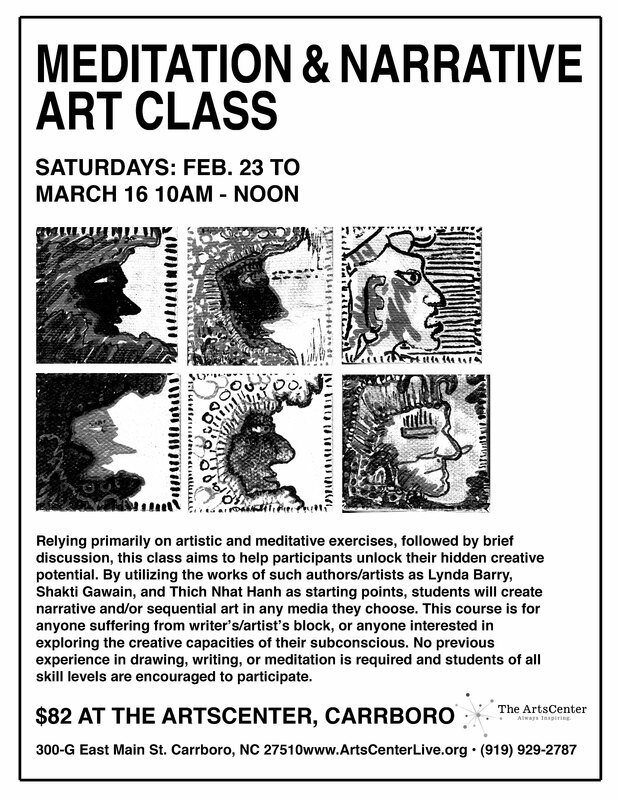 Teaching a new MEDITATION & NARRATIVE ART Class! At The ArtsCenter in Carrboro, NC! BE THERE! 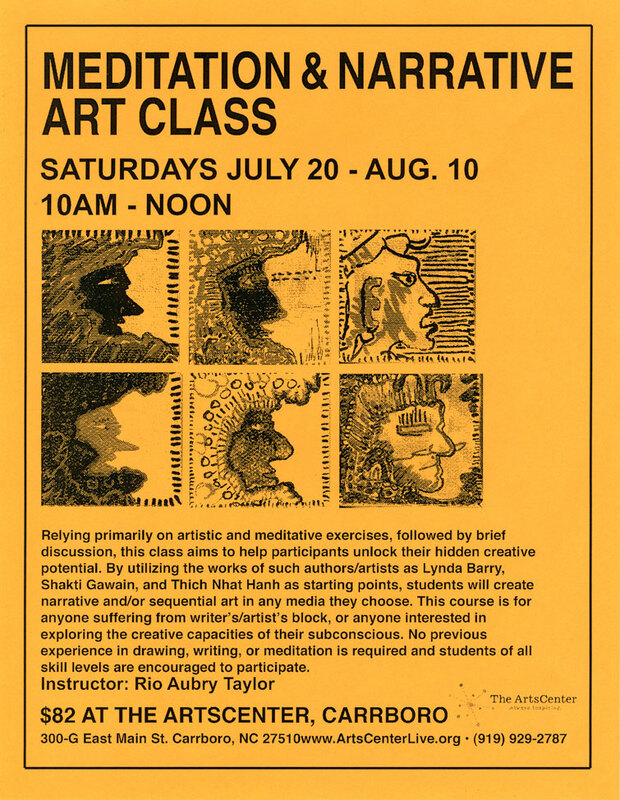 In case you haven’t been following my Twitter account, I will be teaching a brand new class, starting this Saturday: MEDITATION AND NARRATIVE & SEQUENTIAL ART. If you live in the Chapel Hill/Carrboro area, check out the flier below, and SIGN UP HERE. Check out the Press Releases for this and my upcoming comics class for kids HERE.